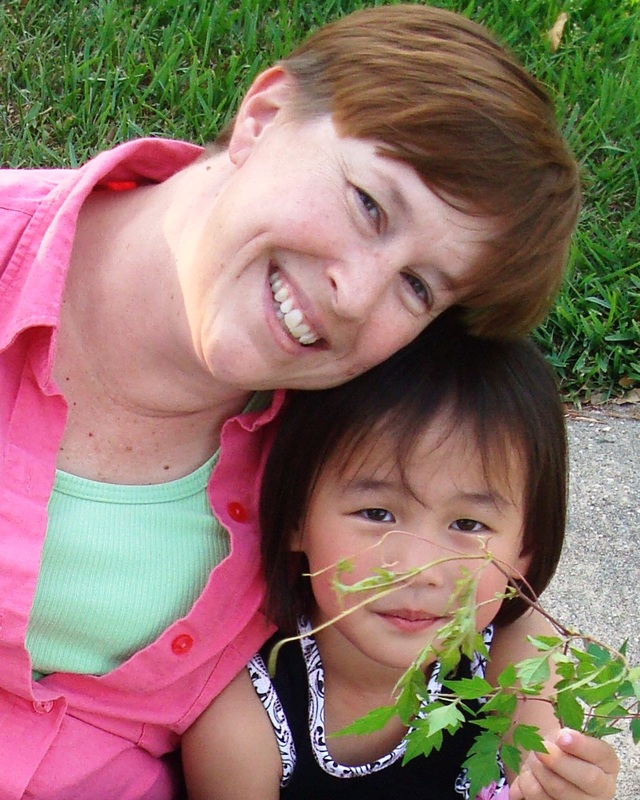 Amazing Grace and a Safe Haven: Are You Going to Tell Them They're Adopted? Are You Going to Tell Them They're Adopted? A couple of nights ago Grace and I were looking at pictures on Facebook and we came across a pic of our friend Stori with her newborn baby boy and sweet Congolese son. The picture really caught Grace's eye because she thought it was a picture of Haven (Grace thinks that all black boys are "Congo Boys"). She asked if the baby had been in Stori's tummy. Another friend (hi Amy) that Grace sees frequently had just had a baby in her tummy so the idea was fresh in Grace's mind. "Stori's baby was in her tummy, just like I was in your tummy when I was a baby, right Mommy!" Whoa, wait a minute. How did we get here!!! We talk about adoption a lot in our house. Grace knows that she is from China and the boys are from Congo. She knows that we went and picked the boys up from Congo. We have a handful of preschool aged books about adoption on our shelves and a huge photo album filled with pictures of Grace and our trip to China. But obviously somewhere along the line I had left a gaping hole in my communicating to Grace what it means to be adopted. And although we've read these books and talked a lot about China, Grace has never asked any of those really tough questions. I've been waiting for them, but they just never came. Apparently, because she already had it figured out--she is my daughter and came from my tummy. So needless to say I was totally speechless and had to think fast. I explained to her that no, she did not come from my tummy. I have never had any babies in my tummy. That she had lived inside another lady's tummy. She was a beautiful Chinese lady. But after Grace was born this lady couldn't take care of Grace. She probably didn't have enough food or didn't have a safe place for Grace to live. So she took Grace to an orphanage and they took very good care of her there until Daddy and I could come and bring her to be our baby. Grace took all of this in without too much reaction. I then told her that I wish she could have been in my tummy and that I was so happy that she was my daughter and I loved her so much. And then she hit me with another blow. "What's her name? My China lady." I don't know, sweetheart, and I'll never know, and it breaks my heart that there will always be things that I can't explain or answer or fix for you. And I am crying for you right now as I type these words. "I don't know her name, Grace." That seemed to cause Grace some distress. She started to shift around in her seat like she does when she wants to stop talking. "But we can give her a name. What would you like to call her?" More shifting in her seat. "Well, lets think about that. We'll think of a beautiful Chinese name." And that was that. Grace then changed the subject to how she was hungry or princesses or something else I can't remember. But I know that will not be the end of that conversation. And as I write it all down tonight my explanations seem so lame. How can I ever help her make sense of the way she became my daughter? But she is my daughter--tummy or no tummy. She is running a fever tonight and I'm anxious about what's causing it because she is my daughter. And when she won't go into her bedroom without me because it's too dark she is my daughter. And when she hugs the pillow off my bed and says its her favorite because it smells like Mommy she is my daughter. I just pray that as the years roll by and we have this conversation again and again, that tummy or no tummy, I will always be her Mother, as much as she is my daughter. "Mommy loves you, Grace. Mommy love you."